Velvet Bow was released in 2006 as a single in the Winter Series IV assortment. Velvet Bow was born in February and her favorite color is royal blue. Her favorite gems are sapphires and she can usually be found abuying and wrapping holiday gifts for my friends! The first thing youâ€™ll notice about this pretty pony is a big twinkle with a heart in the middle surrounded by other smaller twinkles. What a unique pony to add to your collection! 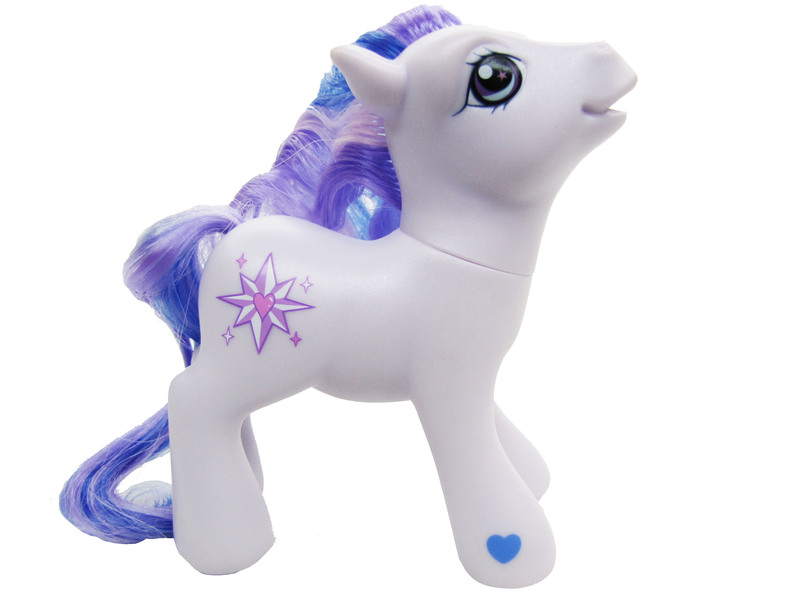 Pony figure comes with brush.